Create a website to generate preschool program leads and significantly increase your preschool enrollment! Once you have incorporated strategies for your preschool website to be found online and highlighted what sets you apart from the competition, you are ready to turn your preschool website into a lead generating machine! When you create a website, it needs to invite what is referred to as a Call To Action (or CTA). Your goal in having a website is not simply to give information about your program and hope a visitor calls. It is to gather information from them so that you can communicate with them directly. You are, actually, in the sales business as a preschool director. You are selling a high quality service to families in your area. 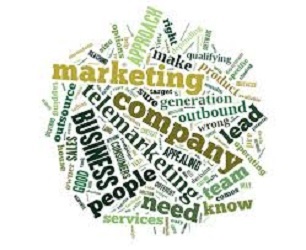 There are sales terms you may have heard: “Leads” and “Lead generation”. A cold lead: This is the one we like the least, right? Cold sales. Calling people from the telephone book. Or being given a telephone number from someone who thinks their friend really should hear about your program. (Now, this latter one is not bad! However, they are not expecting your call! So it is a cold lead). A warm lead: This is the type you will gain from your website. This is someone who knows about your program and wants more information. Be sure your program’s telephone number is prominent and you tell them to call your for more information! Don’t just list your name and telephone number! Make it inviting! Of course, your program is not always open, so you will need to have a very good message on your telephone answering program and a very good call back process in place. We’ll discuss that in a different article. Do NOT list your tuition prices on your website*! Doing so drastically reduces the chances of you speaking with a parent. We all know tuition fees differ based on hours, age of the child, type of program, etc. Create a Call To Action that asks them to email you for more information. *I also do not recommend giving out tuition prices on the telephone. Instead, let them know that your program has several tuition options and you’d be happy to mail or email them the packet that has all that information. This allows you to stay in touch and continue to market to them, but we’ll discuss that on the Telephone Marketing page! Provide a form for them to fill out to request more information. The form can require as little as a full name and email address. It can also require a full name, address, phone number and email address! You cannot do that without leads (names, email addresses and/or telephone numbers). This is one of my favorite additions for websites. There are programs you can add to your website that allow you to have online chat hours. You can turn it on and off at will. In addition, you can have a message typed into it inviting visitors to send their questions to you via email! This is a wonderful way to keep in touch with website visitors. You can have set online hours. However, visitors to your site don’t have to wait until then to “catch you" when you are online. They can email you from this box and you can get back to them right away. Again, you need a good process in place to follow up. My goal would be to follow-up with email questions within 24-48 hours. This particular program is from Pure Chat. They have a 3 month free trial so you can check it out for yourself. Click here to read more about their program. Offer something that will be an added value to visitors...for free! Well, not exactly free- require that they give you their name and email address to download the item. Remember, the purpose is to provide added value to the visitors of your website, yes. But the primary purpose of your download is to generate leads, remember? What to offer? Here are some ideas to get you started! A Tour Checklist- Let families know what they should be looking for and asking when they tour programs. A Family Calendar- Create a calendar for each month that has an activity listed each day that families can do together. Offer only the month you are in on the website each month. (Offer the full calendar to parents who are enrolled!). And then create a free resource to offer! What Do I DO With the Leads? Well, you contact them! Once you have their information, if gives you the means to reach out to them to either send them regular mailings of what's new in your program, offer a phone call to answer questions, and more. It is called email marketing. But that is an article for another time. Now you have some ideas to consider as you create a website or audit and redesign your existing site. These have been the 3 TOP things you can do to increase preschool enrollment using your website. Institute SEO (Search Engine Optimization) plans into your website building. There are many resources out there to help you to create a website that is found, highlight your uniqueness and create lead generating calls to action. Below are some that I highly recommend! Pure Chat is the online chat option that I LOVE! It’s SUPER simple to get it started. It took me all of about 8 minutes to set up when I was using it and I'm really not that tech savvy! This is an amazing book by Kris Murray. It is filled with amazing nuggets of golden pearls for childcare marketing! Each strategy is quick and on one page! If you chose only one strategy from this book each week to focus on, you would improve your marketing results by leaps and bounds! Check this amazing book out! Again, so, so many golden nuggets! Go to the main Marketing Page for more marketing ideas!